The 100,000 hit occasion gift from John Kim! 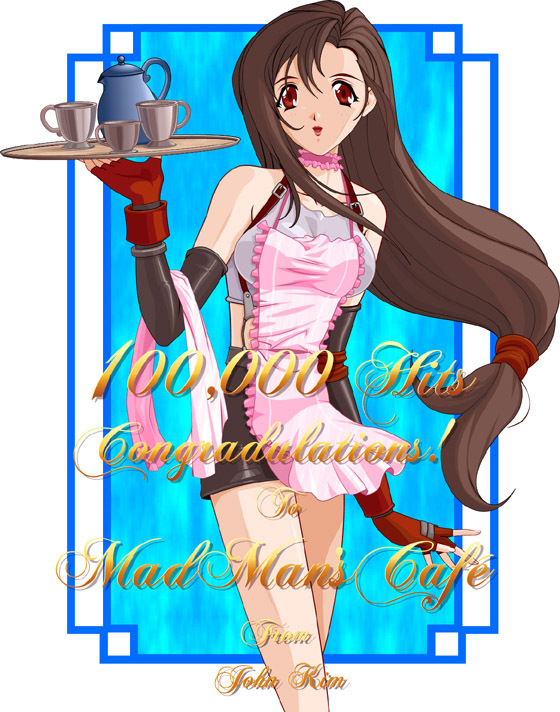 This artwork was given to the Madmans Cafe by... JOHN KIM!!! Quoted from Aimo, "If you don't know John Kim, you're not on the Net".